Perfect sea view, friendly atmosphere, clean rooms, and close to all beaches and restaurants. It's 2 min walk to the nearby beach and 5 min walk to Bora Bora beach. Our host Alexis was amazing and very helpful. There was a free parking as well. Definitely worth for the money paid. I would recommend this place to everyone. Thank you Alexis! 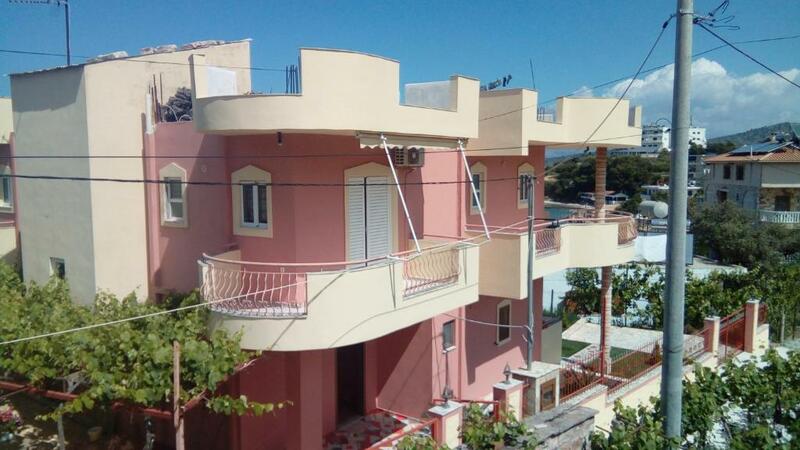 Great location close to the beach and to Ksamil village. Easy parking in the garden. Apartment was clean, small nice balcony with table/chairs. Mosquito nets for all the windows. A/C working well in both rooms. Pulito, economico ed il proprietario super disponibile! Gazda, amplasarea (foarte aproape de mare), curatenia, facilitatile apartamentului. Gentile e ospitale, ottima posizione vicino alla spiaggia e vicino ai locali!! Appartamento pulito e dotato di tutto quello che serve. Apartman je cist,dobro opremljen,osoblje ljubazno,sta god da vam zatreba spremni su da vam pomognu.Pogled na more sa terase,iz spavace sobe izlazite u dvoriste jako lepo uredjeno. Stor flott leilighet og hyggelig og hjelpsom eier. Likte at den lå så nær stranden. Lock in a great price for Hotel Alexis – rated 8.9 by recent guests! One of our best sellers in Ksamil! Hotel Alexis is has accommodations with barbecue facilities and free WiFi in Ksamil, 1.9 miles from Butrint National Park. All units are equipped with a flat-screen TV and a fully equipped kitchen with a fridge. A terrace with garden views is offered in each unit. When would you like to stay at Hotel Alexis? This apartment has a oven, balcony and kitchenware. Πολυ κοντα στην θαλασσα,ησυχο περιβαλλον,καθαρο,ασφαλες με προσιτη τιμη. House Rules Hotel Alexis takes special requests – add in the next step! Please inform Hotel Alexis of your expected arrival time in advance. You can use the Special Requests box when booking, or contact the property directly using the contact details in your confirmation.